It’s National Black Cat Day in the UK! Unfortunately Louis Catorze’s internal calendar runs on French time and it seems that, in France, it’s “Slope Off To The One Place You’re Not Allowed To Go And Ignore Your Maman” Day. It was that same day yesterday, too. And I suspect it will also be that day tomorrow. 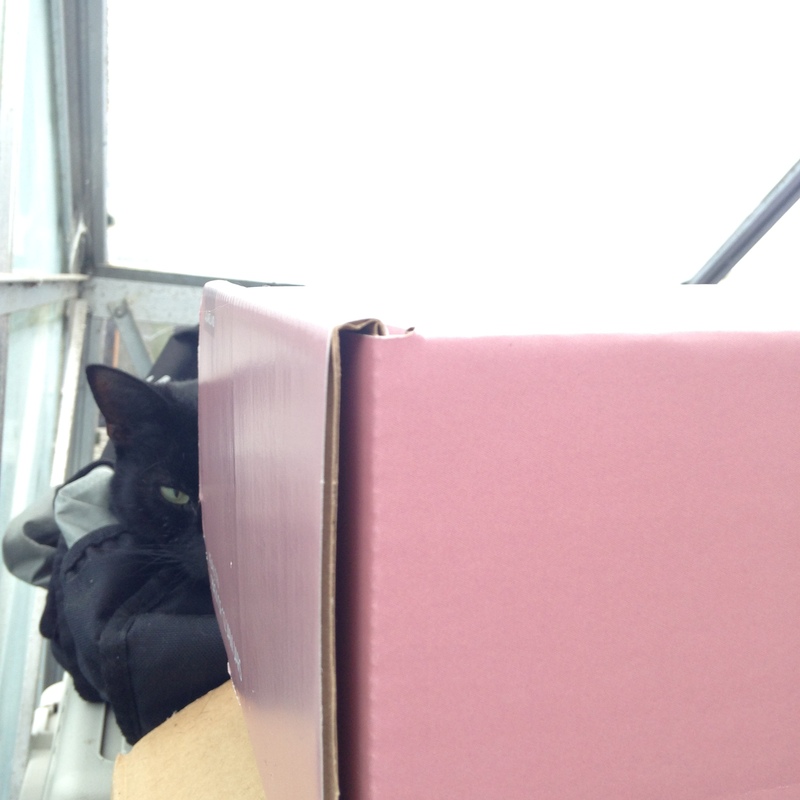 Here he is, pictured looking unrepentant in the Forbidden Greenhouse. Happy National Black Cat Day to Le Roi’s subjects, and to their furry overlords/overladies of all colours. < Previous Le Roi coûte cher: vive Le Roi! Happy National Black Cat Day to Le Roi and his wonderful staff!